China's largest and most used Internet service portal owned by Tencent, Inc founded in November, 1998. Presently, Tencent is aiming its operations at the strategic goal of providing users with a "one-stop online life service". Tencent's Internet platforms QQ, QQ.com, QQ Games, and PaiPai.com have brought together China's largest Internet community. Tencent's communications and information-sharing services include QQ.com, QQ Instant Messenger, QQ Mail, and search engine SOSO. Linked up with heavily used features such as forums, chat rooms, and QQ Groups, Tencent's Qzone has grown into China's largest personal Internet space. These services foster group interaction and resource sharing. Virtual products such as QQ Show, QQ Pet, QQ Game, and QQ Music/Radio/Live have been successful in providing entertainment and customization options to users. Mobile phone users can take advantage of a number of value-added wireless services. Tencent's PaiPai.com is a C2C on-line shopping platform that seamlessly integrates into Tencent's other community platforms.As of June 30th, 2009, the number of registered QQ Instant Messenger users has reached 990.0 million. Active users numbered at 448.0 million. Peak concurrent users have reached 61.30 million. QQ Games platform counted about 6.2 million users simultaneously on-line. 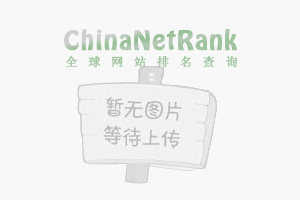 QQ.com has become China's most visited Internet portal website. PaiPai.com has also become China's second largest Internet shopping platform.